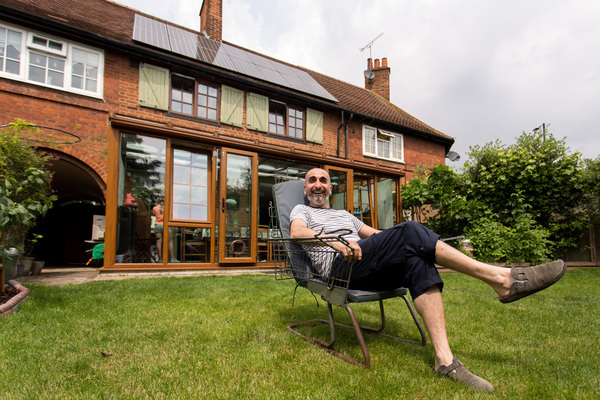 A low budget mid-terrace converted energy efficient home by designer/owner, resulting in a nearly energy neutral passive house. Eco Home, originally an early 20th Century terrace house, was refurbished by the owner/designer in 2012. The building has an array of sustainable features including PV solar, heat pump (air source) and an induction cooker and other energy efficient appliances as well as high quality LED filament lighting throughout the home.